Turmeric is pretty much skincare’s magic elixir, tackling everything from acne and hyper-pigmentation to wrinkles and eczema. But many of us are super-wary of putting this bright yellow spice on our faces, since the Lisa Simpson look is not really too attractive on normal mortals. So, how to reap this super-spice’s super complexion-saving benefits, sans the yellow after-effects? It’s actually not that difficult, if you stick to a simple three-pronged approach that begins with using the right kind of turmeric. Read on. And to be super safe, do a patch test first. Always try to opt for organic turmeric. 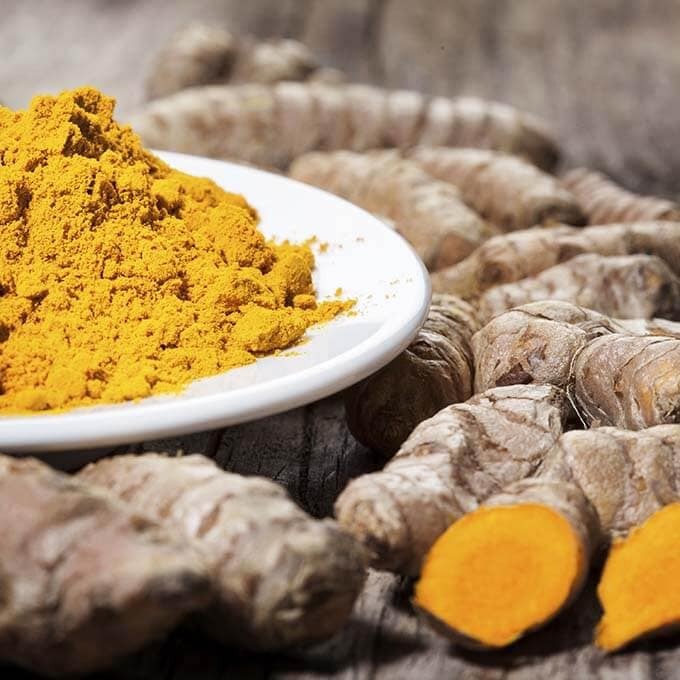 While all turmeric contains curcumin – a natural dye – in small quantities (around 5%), the more generic ones will usually have a hefty dose of artificial colorants as well. Largely, it is these artificial dyes that are near-impossible to get off the skin, rather than natural curcumin, which is oil dissolvable and won’t be anywhere as tough to take off. If you want to be extra careful, look for kasturi turmeric (curcuma aromatica), which is intrinsically almost non-staining and is superb at clearing acne, inhibiting facial hair growth and brightening the complexion. However, it is not edible and should only be used externally. Bonus points if you find a whole turmeric root and grate it at home to get the juice for your face masks. It’s easy to simply dunk some water in a couple of spoons of turmeric and apply it on your face. But it’s the worse thing you can do: Turmeric will leave a seriously heavy duty stain if you mix it with plain water. Instead, try raw honey or milk to cancel out the staining. Make a thick paste with either of these and apply it to your face, then rinse off with some more milk. Finally, wash the face with a foaming cleanser. Still look like you could walk on to the set of The Simpsons without rousing a trespasser alert? Scientists have discovered that curcumin is 2000 times more soluble in vegetable oil than it is in water. So, gently warm a bit of olive or coconut oil and massage it into your face for about a minute, then wipe away with a cotton pad. Or you can try my favourite trick: mix some lemon with sugar and scrub your skin with the solution. Since lemon-and-sugar also make for a great exfoliator, this will leave your skin super-clean! PS: As with everything that touches you skin, I would strongly suggest doing a patch test before embarking on a new ritual! What’s been your experience with turmeric? Good? Bad? Yellow? And how do you deal with this super spice?